The definitive, objective, and mostly serious buyer’s guide to which soccer video game is the best. If you are a fan of either FIFA or Pro Evolution Soccer (or both) you already know the history: the rise of Konami’s detailed simulation in the early 2000s, before its arrest and decline at the hands of EA’s arcade interpretation during the previous generation. 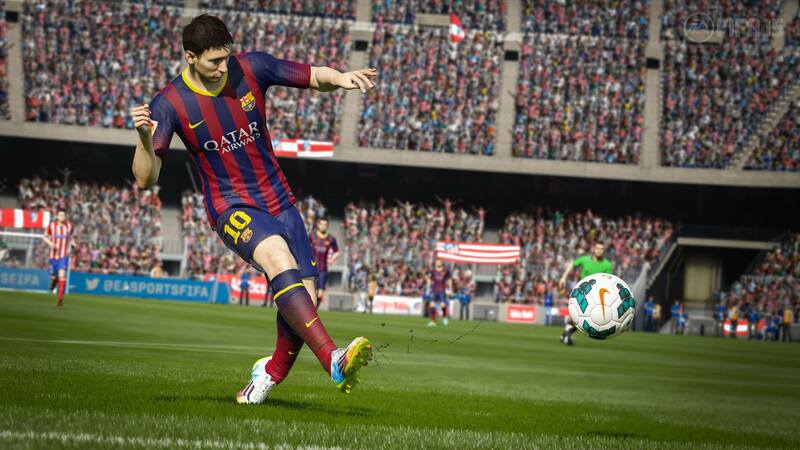 Last year’s installments put FIFA and PES in a dead heat. 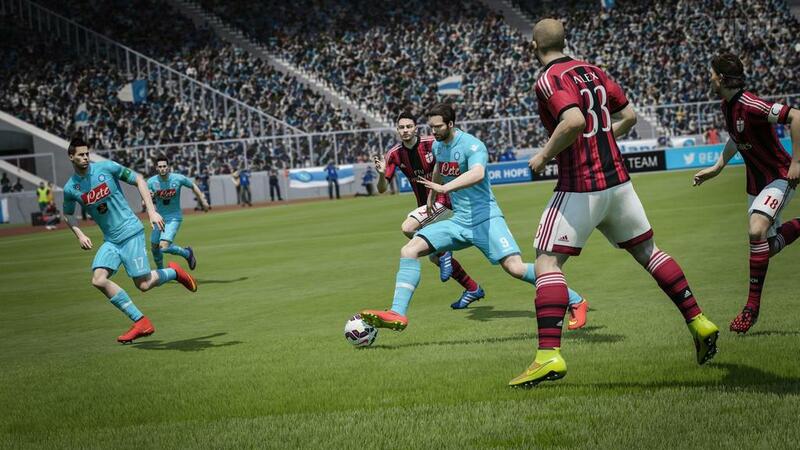 This year appears to be Konami’s, with a tweaked PES slightly ahead of FIFA. FIFA and PES are as different as tiki-taka Spain was from attacking Netherlands at this year’s World Cup. FIFA 15 is clearly pacier against Pro Evolution Soccer 2015’s more considered gameplay. Both are like tranquilized sloths compared to Sensible Soccer and its rocket-propelled gameplay. Frenetic end-to-end action, improbable diving headers, and balls played into space that those lovely little players can catch by sprinting 40 yards in two seconds – Sensi wins out here. Of the two new titles FIFA makes better use of space, but Sensible World of Soccer’s design was ahead of its time. Teammates will automatically – almost telepathically in fact – run onto passes. You can even intuitively “drag” players away from their markers into space. Compared to this, PES and FIFA feel stiff. Through balls are often easily read, runs are frequently offside. Offside! There’s no offside in Sensi. 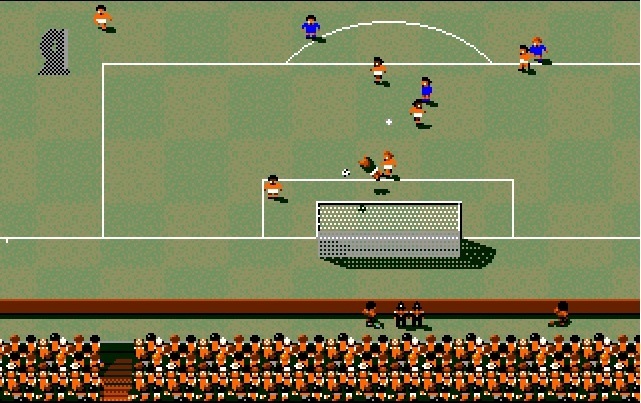 For that reason alone, this round goes to Sensible Soccer. I have enough trouble remembering what I had for dinner yesterday. 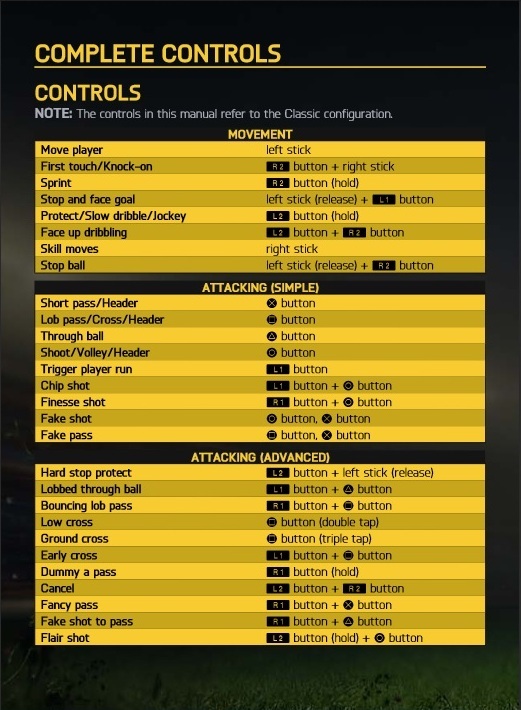 To say FIFA and Pro Evolution Soccer’s controls are overly complex doesn’t cover it – there are even controls for the celebrations! Sensible Soccer’s straightforward classic controls cannot be matched. Despite the subtle precision of analog sticks, multi-million dollar budgets, and physics engine refinements over the last 10 years neither EA or Konami have figured out how to swerve a ball convincingly. In FIFA and PES having a strike at goal feels like “fire and forget”, or at least shoot and hope. In Sensible Soccer (a game first released in 1992) a spot of aftertouch on the joypad (or joystick, if you really want to go old school) can put wicked slice onto shots, crosses, and long balls – so accurate that you can pinpoint perfect passes and strikes. 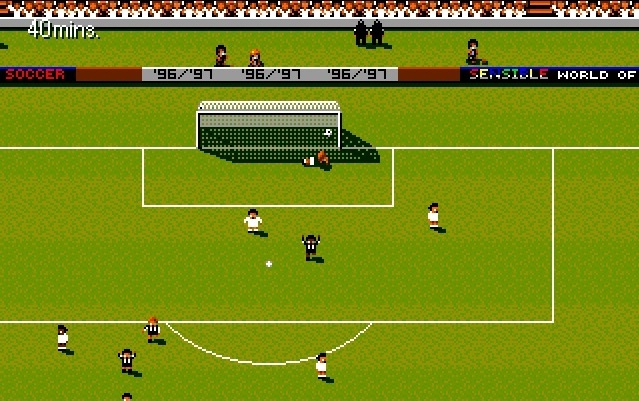 Sensi’s aftertouch design has never been bettered, and FIFA and PES still can’t “bend it like Beckham”. And there’s something about the ball which seems wrong, as if it was a design afterthought. While Sensi’s ball feels independent, requiring a degree of wrangling to guide it towards goal, FIFA and PES‘s player-centric focus means the ball is frequently glued to your feet. This makes sense if you’re Zinedine Zidane, but eliminates much of the challenge in a video game context. FIFA and Pro Evolution Soccer have raised the bar for sports games, with motion captured animation, incredible detail down to individual blades of grass, and lifelike depictions of today’s soccer stars. An obvious winner here then, and that’s Sensible Soccer. Sure, the graphics are near photo-realistic, and FIFA’s presentation in particular is phenomenal. But the camera feels far out (even on its most zoomed in setting) and I found myself straining to follow players on the far side of the world pitch. What good is all that detail if you can barely see anything? 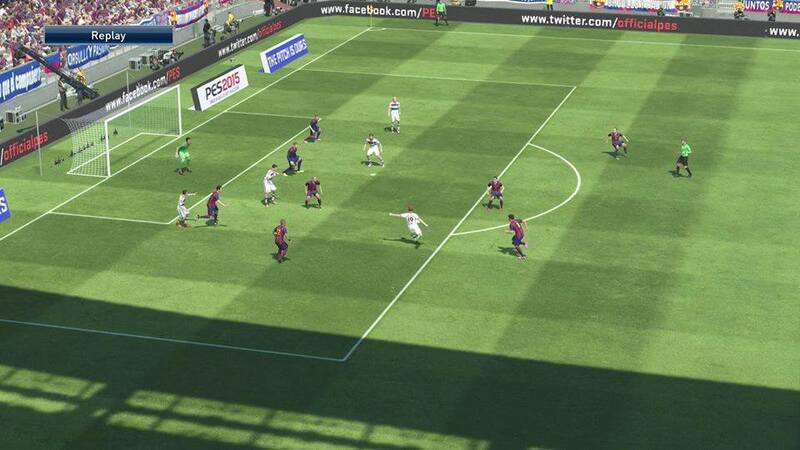 Pro Evo has similar camera issues, and lags behind FIFA in presentation. Graphically Pro Evolution Soccer doesn’t appear to have, well, evolved much since the version I had on PlayStation 2 nearly a decade ago, and replays and set-pieces have choppy framerate issues. Both games utilize a grandstand view that by its nature obscures the near flank, makes the far wing appear distant, and chops off the action ahead and behind. 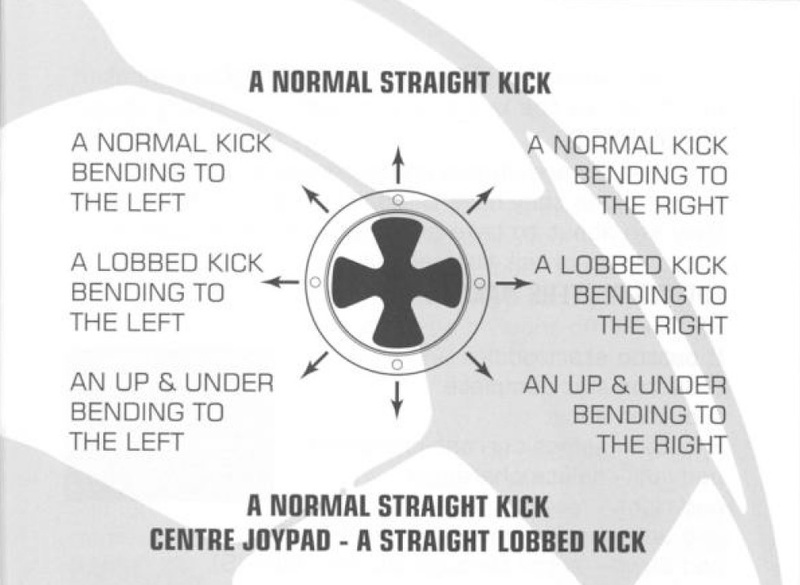 Not particularly helpful in a sport that requires awareness of passing options and opponents around you! Sensible World of Soccer’s panned out, bird’s eye camera provides a greater field of view, affording you a better sense of formations and clearer routes towards goal. Messi and his boots in FIFA. 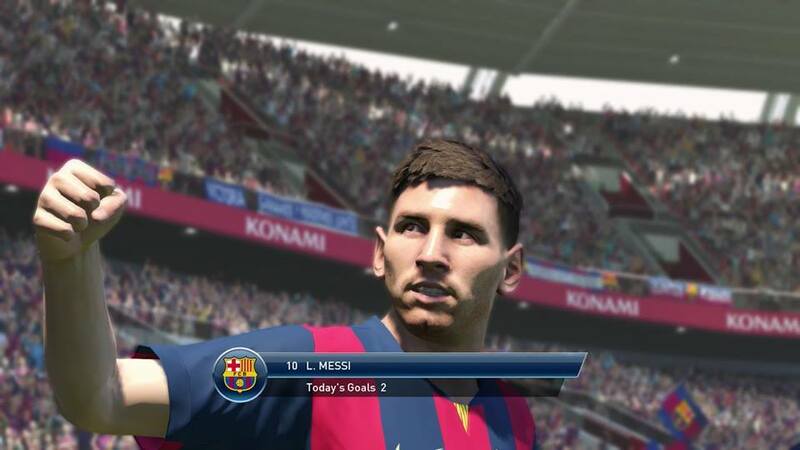 Messi on the scoresheet in Pro Evolution Soccer 2015. Lionel Messi… possibly… in Sensible World of Soccer. Yes, Sensible Soccer has charm to spare here. Sure, FIFA and PES have complex engines that simulate player reactions and emotions. But one simple frame of animation in Sensible Soccer – when your player’s shoulders sag after receiving a red card – conveys crushing disappointment better than any complex motion captured routine can. A quick mention of crowd chants – yes FIFA, we know you’ve recorded unique noise from stadia around the world (“Emotion & Intensity is one of the core pillars of FIFA 15“, according to the website!) But does the crowd goad you with “You’re not singing anymore?” when you throw away a lead as in Sensible Soccer? Pro Evolution Soccer 2015: Jim Beglin and John Champion (luckily, commentary was unavailable in the demo). FIFA 15’s commentators: Martin Tyler and Alan Smith, and Alan Partridge… sorry, Clive Tyldesley and Andy Townsend. Sensible World of Soccer: Jonathan Pierce. Basically, a dismal race to the bottom. Sensi may actually be the worst offender, while PES gets a bye. I’ve determined this to be a no-score draw, if only because each game enables you to turn off the punditry. As we all know, the overall quality of a video game is directly related to its menu music. Over the last few installments FIFA and Pro Evolution Soccer have featured fairly inoffensive synth-pop tunes and forgettable post-post-Britpop indie bands mumbling about what they’re doing at the weekend. 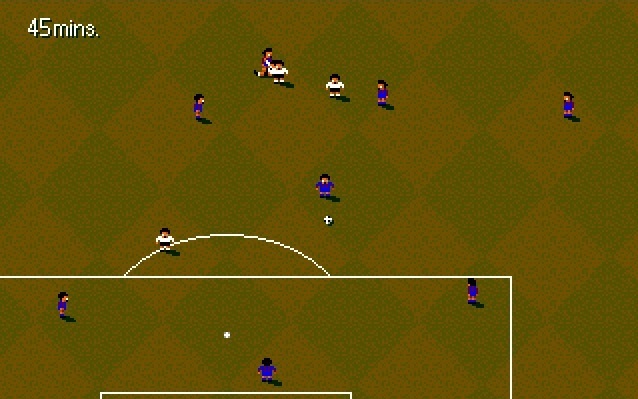 By contrast you’ll find yourself humming Sensible World of Soccer’s superb light jazz score years later when playing unrelated games, reading up on the football scores, or perhaps even reviewing Excel spreadsheets. I recommend reading the rest of this article with the SWOS menu music on. FIFA 15 is currently $50.41 on Amazon, and Pro Evolution Soccer 2015 costs $56.72. Either way, Sensi is a steal. There’s a lot to admire in the design of FIFA 15 and PES 2015 – the production values are superb, the animations are amazing, and the level of detail in gameplay, tactics, and management is unrivaled. Neither game is much fun though. This was quite honestly not the article I expected to write. As a fan of the International Superstar Soccer (ISS) series on N64 and Pro Evolution Soccer on PS2, I thought that 2014 would be the year PES returned to full fitness, having made improvements to its core game after years in the wilderness. Yet PES feels clunky to me. Konami aimed for realism with Pro Evolution Soccer 2015 and nailed it. What I experienced was an often stodgy mix of misplaced plays, miscued passes, and mistimed tackles – a game of soccer in truth then. Pro Evolution Soccer feels miles away from its gameplay origins as the ISS series on the Nintendo 64 – still amongst the best multiplayer soccer games ever made. And as a longtime ISS/PES supporter, I am now in the uncomfortable position of finding that FIFA 15 was more enjoyable. Quicker (the players barrel around to cover more of the pitch) and unashamedly arcade-like, free-flowing and accessible. Based on reviews it seems this year’s FIFA is a relative disappointment when compared to the great efforts EA has made over the last generation to take the crown from PES, but FIFA 15 remains a solid title. The drive towards realism in video games is a tedious trend that has stripped gaming of much of its fun. There is little that’s enjoyable about modern soccer when converted into code. That’s why Sensible Soccer “gets it”. If Pro Evolution Soccer is about simulating the boots-on-the-ground realism of the modern game and its anxiety to curb all tactical errors, and FIFA seeks to recreate comfy Wednesday night television viewing of European superclubs making it seem so effortless, then Sensible Soccer is a pure video game that captures the impossible – the idea of soccer, the experience of the game rather than the reality, a reminder of the enjoyment you had as a kid playing pick-up footy with your pals in the park.